Florence Paddle Games has been launched in 2018 thanks to the new collaboration between Toscanasup.org by Tommaso Pucci, Fantasysup.com by the florenine athlete Martino Rogai and Innate Sport Excellence by Riccardo Tonini. The event has been an epic event to be part of, with more than an hundred of paddlers batting on the Arno river and spreading the fun of paddling in the iconic city of Florence. Stand Up Paddle is a sport that is spreading rapidly even in rivers and lakes. This is demonstrated by the Paris Sup Nautic on the Seine in Paris, or the world-famous 11 City Tour in Holland or the London Sup Open on the Thames. 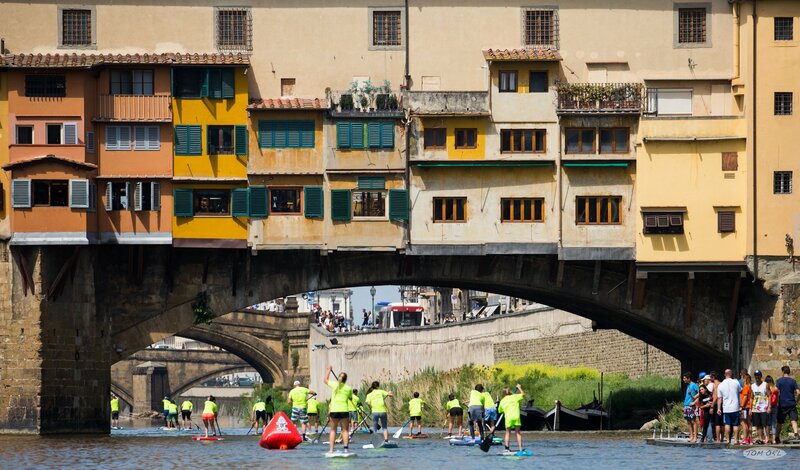 Even for four years Florence has hosted the Uffizi Sup Race, a race born in 2013, which saw hundreds of athletes participate, including international names of the SUP panorama.